History of "MOTOBIKE SALON 2004"
Moskovko REVIEW OF THE FIRST INTERNATIONAL EXHIBITION «MOTOBIKE SALON 2004». 1-st Moscow International Exhibition «MOTOBIKE SALON 2004» has successfully completed its work. From 25 to 28 March in the capital, in anticipation of the new motosezona in Expocentre on Krasnaya Presnya a 1-st Moscow International Exhibition «MOTOBIKE SALON». MOTOBIKE SALON Opening of the exhibition was held on March 25 in Hall 5 «Expocenter». The opening ceremony was attended by: Shkurat Vladimir (1 st Deputy Director General of JSC «Expocenter»), Shulik Grigory Ivanovich (President of the National Federation of Motorcyclists) Antifeev Valery (Deputy Head of Transport Communication and Moscow), Sergei M. Levit (President of the International Exhibition Agency). After the opening of the exhibition held a press briefing, where Levyt Sergei M., Shulik Grigory Ivanovich, Antifeev Valery, Malinina Helena and other invited guests made speeches and answered questions of the press about the show, discussing development issues motobiznesa in Russia, the role of government and municipal authorities to effectively regulate the market motorcycle products and new trends in motoindustrii. And now - a review of what has been presented at the exhibition. The show was attended by more than 50 companies from different countries: Russia, Finland, Great Britain, Belarus and Ukraine. Among the participants in the largest Russian and foreign companies: Vulcan Motors, Tag Sport, Moto Grand, Harley, Izhevsk Motorcycles Irbitsky motorcycle factory, Leningrad North Plant, Industrial Group Vladar (Ukraine), Vostokskuter, Scooteria, Jet formula Agv-Polspo, Nexus Motors , Arg-moto, Arpera Motors, Baltmotors, EUROMOT, Moreman, Moto.ru, skit-Tayer, Seven Auto Design, Chopper Clan, All Right, and many others. At sotoyalis premiere. 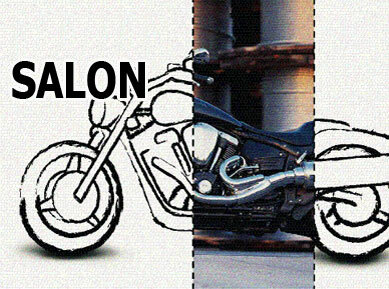 For the first time at MOTOBIKE SALON their products showed the company Baltmotors. 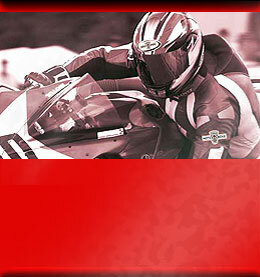 All equipment is manufactured under license in Kaliningrad, Suzuki, Yamaha and Honda. Another premiere, the emergence of Russia in the Finnish production company Kymco. Also for the first time in Russia was represented by the company to produce motoodezhdy Frank Thomas (United Kingdom). Because the media have been all the special editions: Moto, Bike Freak, Power Motors, Motorevyu, Motorradnews and other publications. At the exhibition stand was located the Russian Union of Artists aerography «13H». The booth was attended by special guest of the exhibition - Ilnur Mansurov, one of the most famous masters aerography. Winners of the drawing received from the hands of Mansurova original painted helmets. Participants noted the tremendous success of 1-st Moscow International Exhibition «MOTOBIKE SALON 2004». Feedback from the companies - the exhibition certainly succeeded. Number of exhibitors confirmed their participation in the exhibition for next year already exceeded 90%. According to the participants of the exhibition - many visitors will come not just to look at the exhibits, and to choose and buy (or order) a suitable motorcycle or scooter for the upcoming season, to build business relationships. 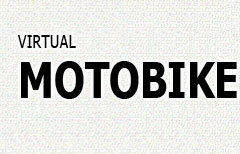 MOTOBIKE SALON attracted over 20,000 visitors from far and near abroad, and more than 60 regions of Russia. Рекомендуем посетить сайт салона официального дилера CFMOTO.